all indian cinema: Ash agrees to Mani Ratnam once again! Aishwarya Rai Bachchan has agreed to dub for the Tamil version of Raavan, sources say. The actress has been associated with the Tamil film industry for quite some years now with a couple of popular films like Iruvar and Jeans to her credit. The lady had been rendering the dialogues in these films by penning them down in English but ultimately the dubbing was done by another artiste. 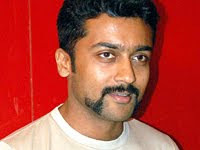 For Raavan, however, Mani Ratnam had suggested that Ash should dub with her voice to bring in the essence of the film. And reports say that Ash has indeed agreed! It is worth a mention here that Sandhya, Aishwarya Dhanush and Kanika were in consideration to dub for Ash in Raavan.